Please make sure to scroll down and look at all five entries before you place your vote. Voting ends August 21, 2009. The winner will receive $100 from SCIWAY! "I live on Johns Island very close to the Kiawah River. One of my favorite activities, and main form of exercise, is to bicycle to Charleston's Beachwalker County Park and bike on the beach. It is great exercise, wonderfully relaxing, and offers a chance to observe the ever-changing and beautiful coastline. On this particular evening I had rushed home after working at the Hollings Cancer Center, and hurried to the beach to catch the last minutes of daylight. The tides were extremely high this week due to the new moon. 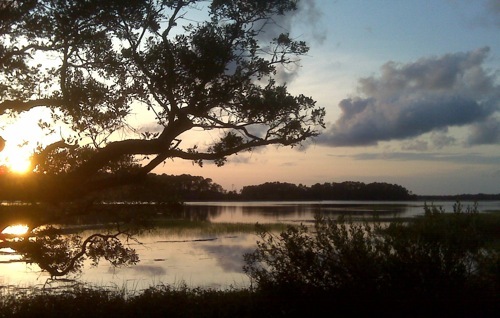 This beautiful view of the Kiawah River from Beachwalker Park forced me to slow down, focus on the moment, and appreciate my good fortune to be living in the SC Lowcountry." "The hike to this waterfall started like so many before, meeting up with a friend and driving to the parking area. We each got over 20-pound backpacks of camera gear, hip waders, water, and snacks and headed for the trail. 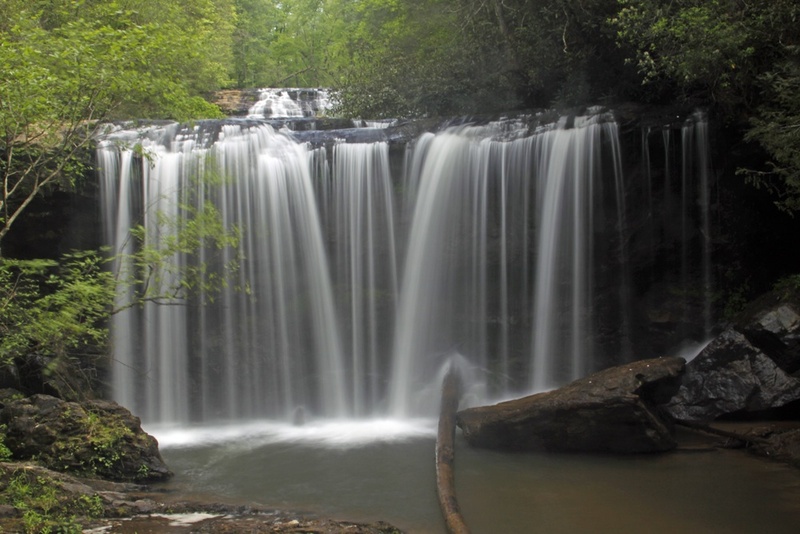 The trail quickly disapeared and became a descent over root and rock down to Brasstown Veil, also known as Middle Brasstown Falls. The 20-minute trip can be difficult if you aren't prepared. However the reward is great – once there you are afforded an awesome sight plus a deep, cold, swimming hole for the adventureous. 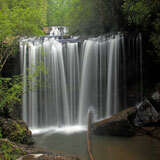 This is one of my favorite waterfalls in SC even if it is a little tough to get to. The reward is worth it." 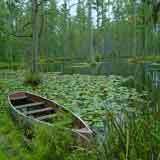 "Boat rides through the Cypress Gardens offer visitors a mesmerizing journey through the water forest. Not everyone would call this their ideal "swimming hole" but I could call it a swimming hole. This scene reminds me of my childhood (25 years ago), when my grandmother, mother and I took an unguided boat ride through this Lowcountry treasure. The idea is to row at your own pace by following arrowed signage. Somehow we missed an arrow and ended up in a place unintended for canoes, and we got stuck. My mom actually sacrificed herself by plunging into the "snake and 'gator infested" water to try and dislodge the canoe, which didn't work. 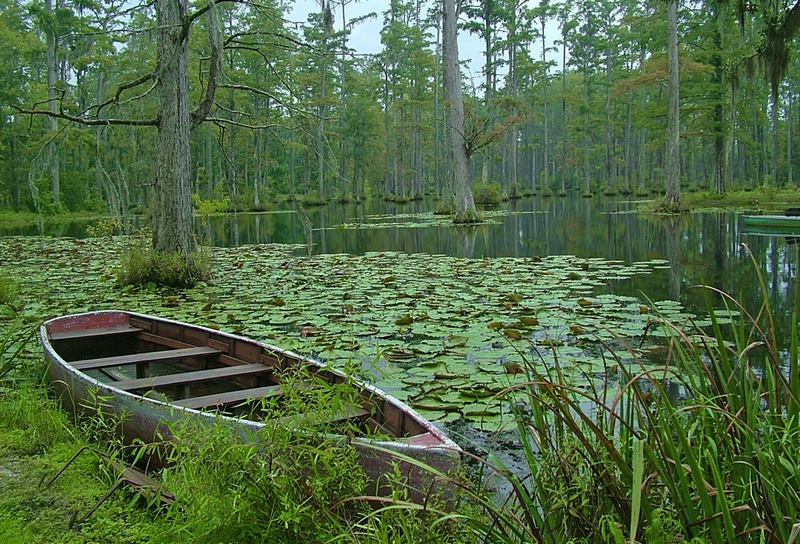 What was most scary was when mom tried getting back into the canoe – she almost tipped us into the water. We had to be rescued by the establishment. I wonder if they remember us." "Just before dawn on any body of water is one of the most beautiful times of the day for me. The wading birds are already fishing for breakfast and singing their hearts out, and as SC weather goes, it is probably the coolest part of the day. I search the day before for my subject matter and head out in the dark the next morning to set up my camera and tripod. 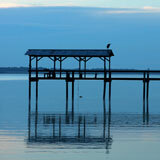 That is why this image of a dock on Lake Marion is special to me. 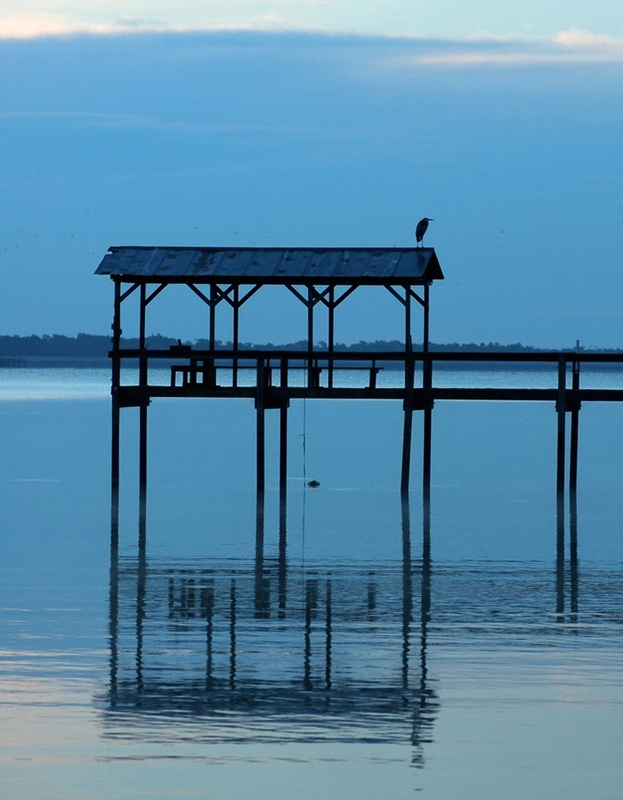 It took some planning and effort to capture the beautiful soft blue tones against the silhoutte of the dock rails, but my reward is that I have this image forever. Once I turn grey and can no longer get around the state to photograph, I will look back at these images and recall every part of the journey I traveled to get it." "My son and I were wandering around off the Atlantic Ocean (in Myrtle Beach), climbing rocks as I took this photograph with a Kodak Z710 digital camera. 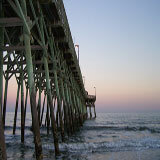 The sun was setting, my favorite time of day, and we later had fun exploring the beach before going to the movies. 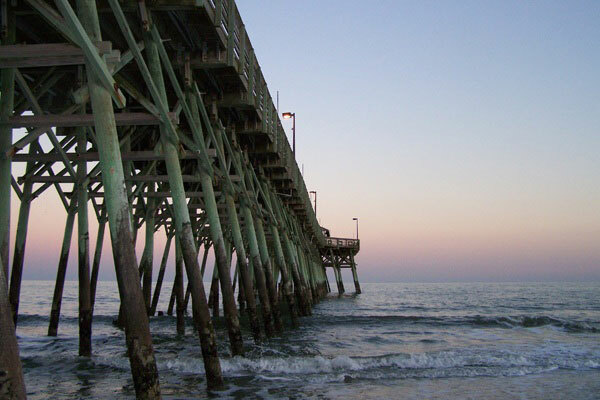 Underneath the pier and boardwalk is where you want to be, according to one beach music song, and this is a pier that is picturesque at sunset."